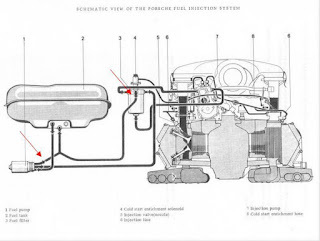 What makes the early 911s, Carrera RS, and the 2.7-liter "euro" Carrera so interesting and thrilling to drive is the Bosch Mechanical Fuel Injection (MFI) setup. 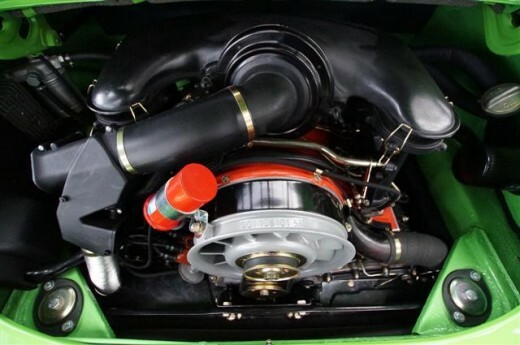 The glorious sound and instantaneous throttle response has a remarkable feel compared to the computerized injection systems of the 70s and 80s. 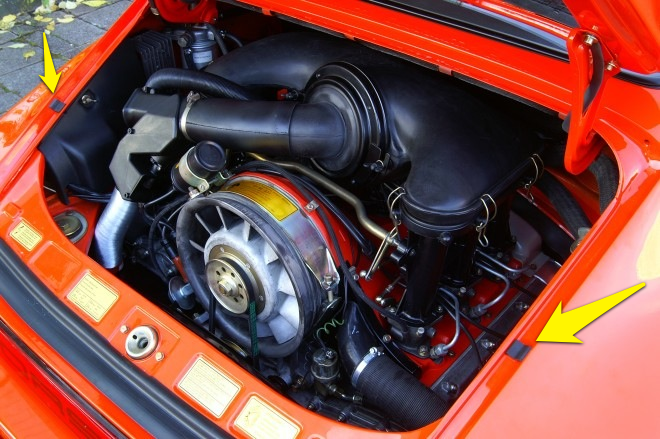 The 1976 Carrera MFI 2.7 was the last street car Porsche ever produced with mechanical fuel injection. 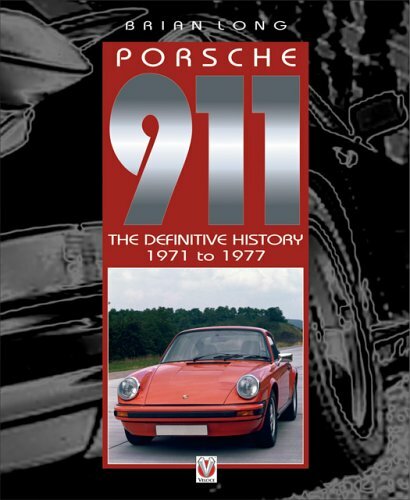 In fact there were only three MFI based cars produced by Porsche after 1976, all race cars. 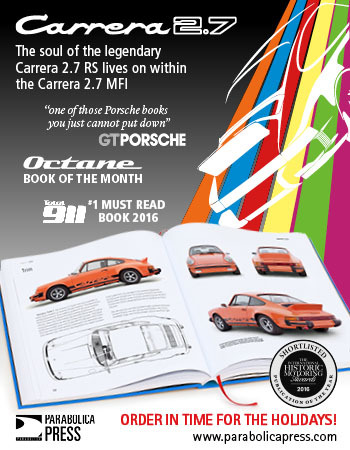 First were the ten turbocharged Porsche 934 ½ built for Group 4 and the 1977 IMSA Championship, alongside the various incarnations of the turbocharged Porsche 935 built for Group 5 and, later, the twenty 3.0-liter 911 SC/RS (954) rally cars built in 1984 to compete in Group B. 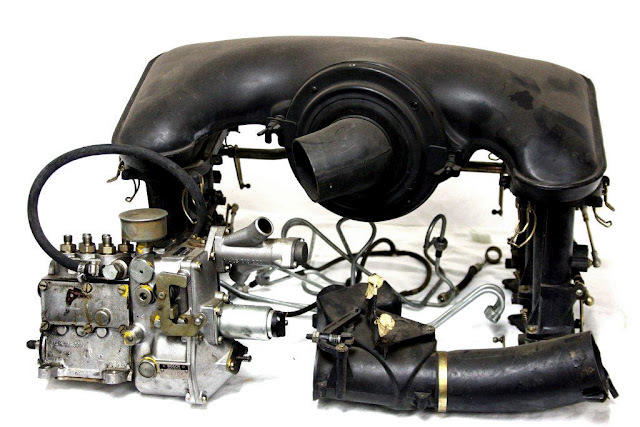 The complete MFI setup includes 019 series MFI pump, 312 velocity stacks, throttle bodies, air box, plus associated linkage and plumbing. 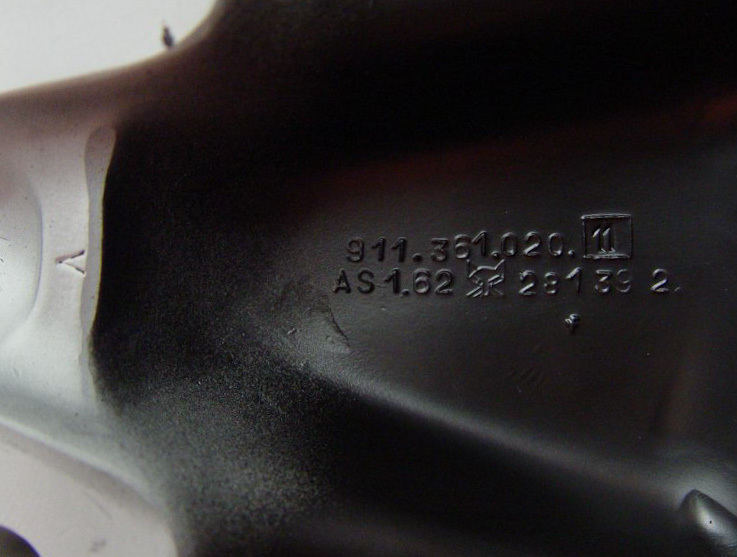 The "019" series MFI fuel pump up close and personal. 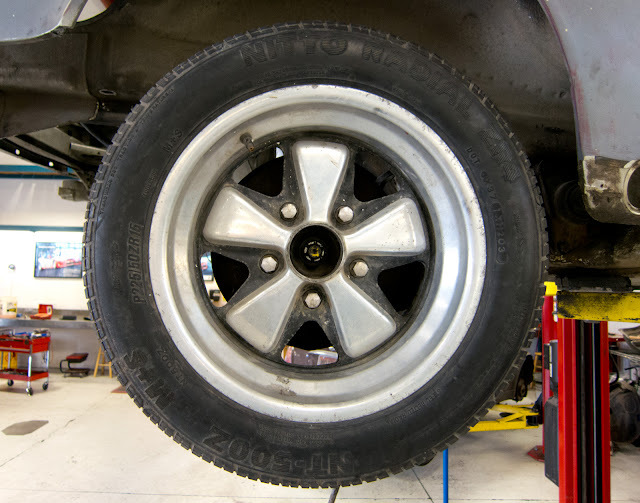 See more details on the restoration of 1976 Carrera MFI 2.7 chassis #911 660 9050. Update 10/8/2013: This Carrera 2.7 has been off the market for several months but has been listed for sale again for €129,000 (approx. $175,000 USD). Update 10/17/2012: The seller has now posted photos of the 74 Carrera. 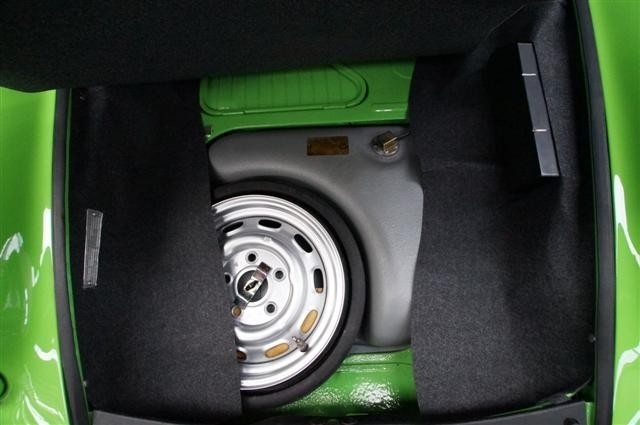 A few details aren't correct for a 1974 for example: door panels are post 1976 quilted style door panels, later style seats, painted headlight rings, later "Turbo" style Fuchs with black center with polished lip instead of rough anodized, red coil, black mirror instead of 1974's chrome mirror only, yellow painted Bilstein housings instead of original green, and a few other details. Fortunately for someone who wants a concours car almost all the details are fairly easy to correct. 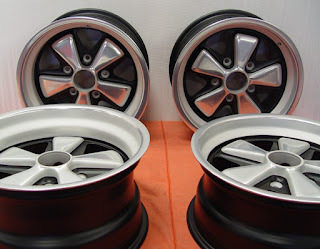 The Fuchs and seats are the only ones expensive as they need to be recovered with correct pattern and material. Fortunately the seat itself is a correct round knob seat for 1974. 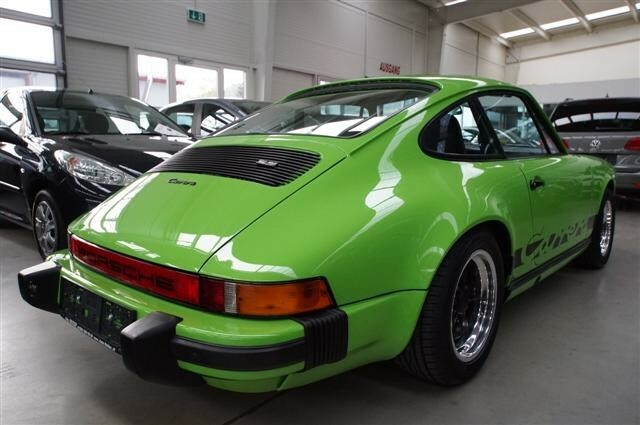 Overall this is a beautiful Carrera. 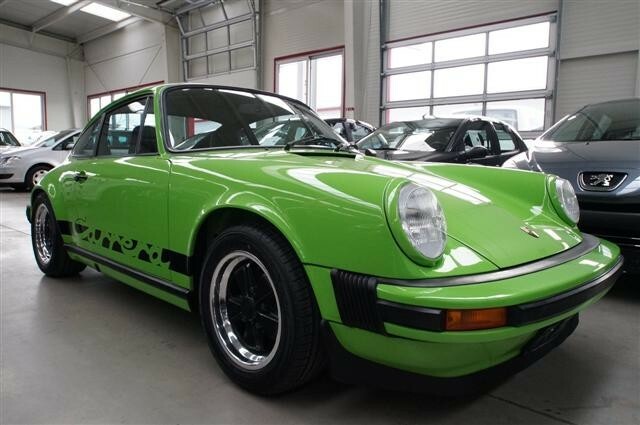 Posted 10/14/2012: A recently restored lime green Carrera MFI 2.7 with black interior has just been offered for sale in Austria. As it was just listed we don't have any photos at this time, nor any more details than what was shared by the seller below. 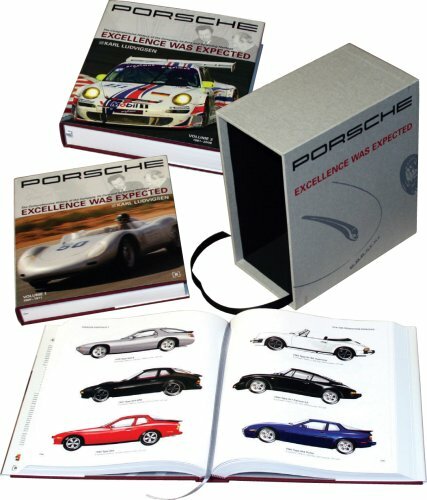 DIESER SELTENE PORSCHE 911 CARRERA 2.7 WURDE NUR 1036 MAL GEBAUT !! 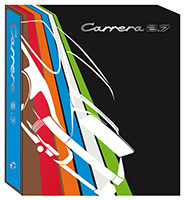 WIR HABEN DEN CARRERA KOMPLETT NEU AUFGEBAUT !!! ER WURDE KOMPLETT ZERLEGT ENTLACKT UND KOMPLETT RESTAURIERT !! DER MOTOR UND DAS GETRIEBE WURDEN BIS AUF DIE LETZTE SCHRAUBE ZERLEGT UND BEI EINEM MOTOREN-SPEZIALISTEN IN DEUTSCHLAND NEU GEMACHT !! DIE MECHANISCHE EINSPRITZPUMPE KAM AUCH NEU !! DAS FAHRWERK UND DIE BREMSEN WURDEN RESTAURIERT !! DIE INNENAUSSTATTUNG WURDE KOMPLETT NEU IN LEDER VERBAUT !! WIR HABEN AUCH EINEN NEUEN KABELBAUM EINGEBAUT !! DEN UNTERBODEN HABEN WIR IN WAGENFARBE LACKIERT !!! WIR HABEN INSGESAMT CA 1900 STUNDEN INVESTIERT !!! DIESEN SELTENEN ELFER HABEN WIR MIT BESTEM WISSEN UND GEWISSEN BEI UNS IN ÖSTERREICH RESTAURIERT !! WIR KÖNNEN ES NICHT BESSER !!! 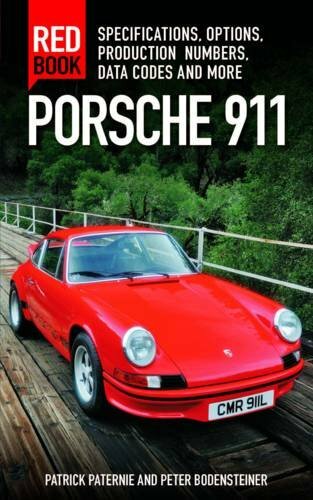 SOLLTEN SIE EIN FAHRZEUG SUCHEN, DAS GARANTIERT IM WERT STEIGT, DANN IST DIESER WUNDERSCHÖNE 911 CARRERA DAS RICHTIGE FÜR SIE !! SICHERE GELDANLAGE !!! SCHIEBEDACH, ELEKTRISCHE FENSTERHEBER, ALU FUCHS, USW... FGNR: 9114600447 MIT ORGINALZERTIFIKAT !!!! 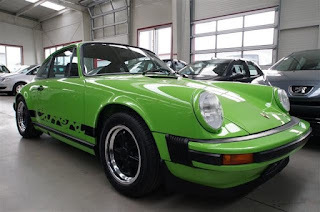 THIS RARE PORSCHE 911 CARRERA 2.7 WITH ONLY 1036 BUILT! WE HAVE THIS NEWLY REBUILT COMPLETE CARRERA! HE WAS COMPLETELY TAKEN APART AND STRIPPED TO BE FULLY RESTORED! 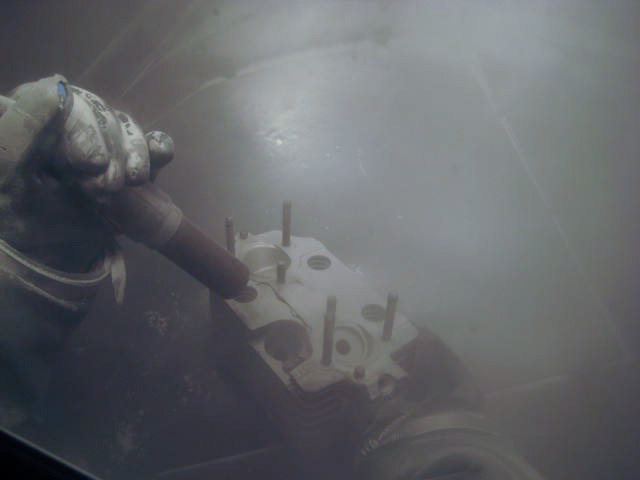 THE ENGINE AND TRANSMISSION WERE DONE UNTIL THE LAST SCREW. ENGINE REBUILT FOR A SPECIALIST IN GERMANY! 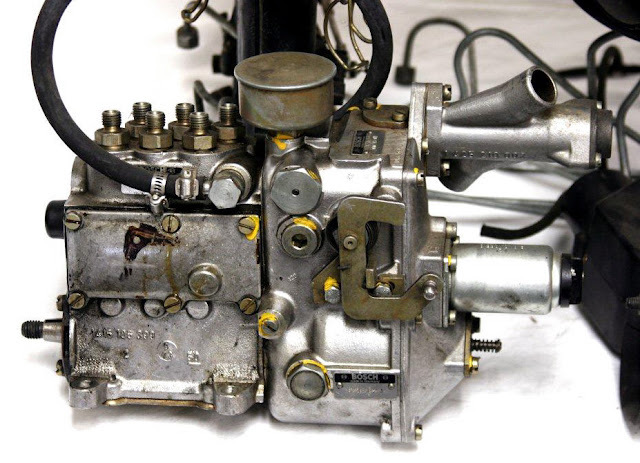 MECHANICAL INJECTION PUMP RESTORED! 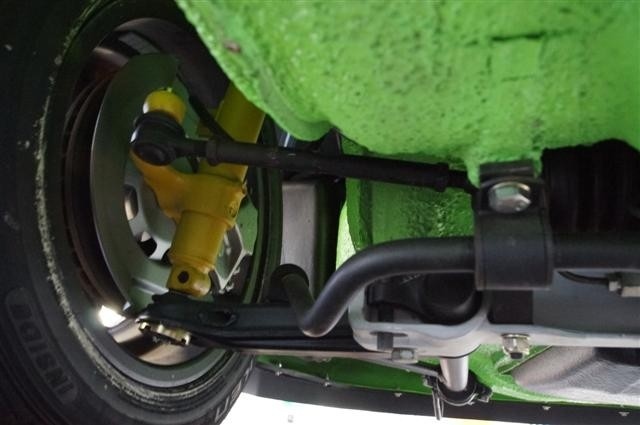 THE SUSPENSION AND BRAKES WERE RESTORED! 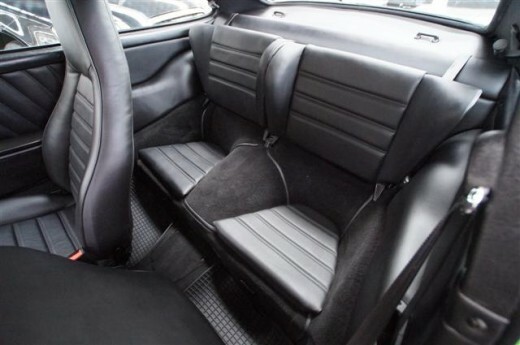 THE INTERIOR HAS BEEN COMPLETELY REDONE IN NEW LEATHER! WE ALSO HAVE A NEW WIRING HARNESS INSTALLED! UNDERBODY WE HAVE PAINTED! WE HAVE TOTAL OF 1900 HOURS INVESTED! RESTORED IN AUSTRIA! 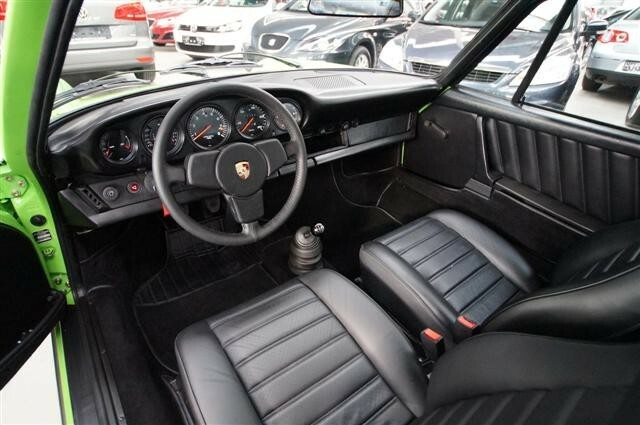 IF YOU ARE LOOKING FOR A VEHICLE, THE WARRANT THE VALUE RISES, THEN THIS BEAUTIFUL 911 CARRERA RIGHT FOR YOU! SAFE INVESTMENT! 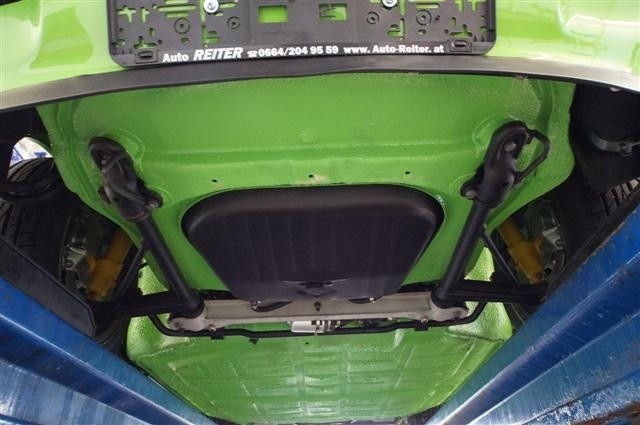 SUNROOF, POWER WINDOWS, FUCHS, ETC ... Chassis nr: 9114600447 WITH ORIGINAL CERTIFICATE!! Offered for 129,000 EUR (roughly $167k USD) by Auto Reiter Gmbh. The engine has been in the good hands of Jeff Gamroth of Rothsport Racing awaiting its turn in the line. Jeff has finished tearing down the 2.7 RS type engine in preparation for the rebuild. 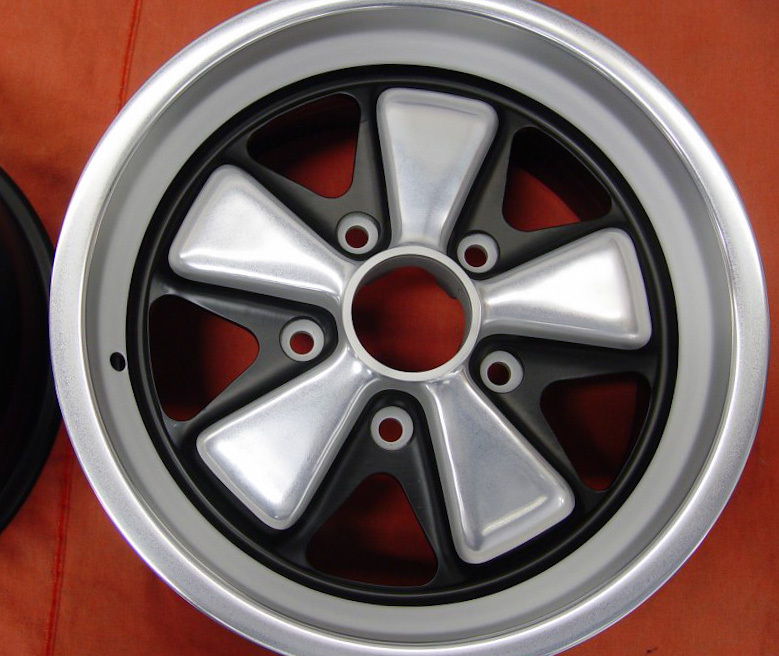 At this point the original 911/83 7R case and some other parts have been sent off to Ollie's Engineering for necessary machine work. 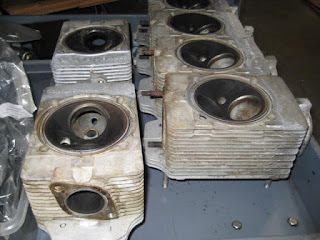 To kick off the rebuild Jeff had each of the aluminum cylinder heads soda blasted to clean them up. We are about to buy all the necessary parts to complete the engine back to the same spec that it left the factory. Each step of this engine rebuild will be exciting to watch as the final product will be the center piece to this entire restoration. Personally I can't wait to see the progress unfold. 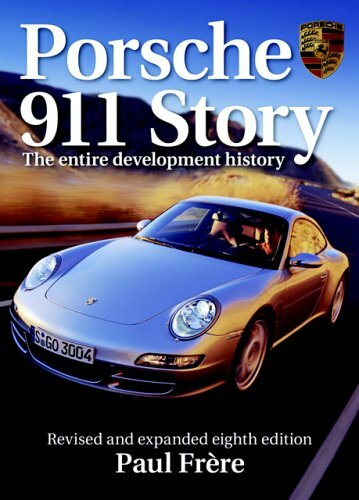 Stay tuned for more details on the engine rebuild for 911 660 9050. 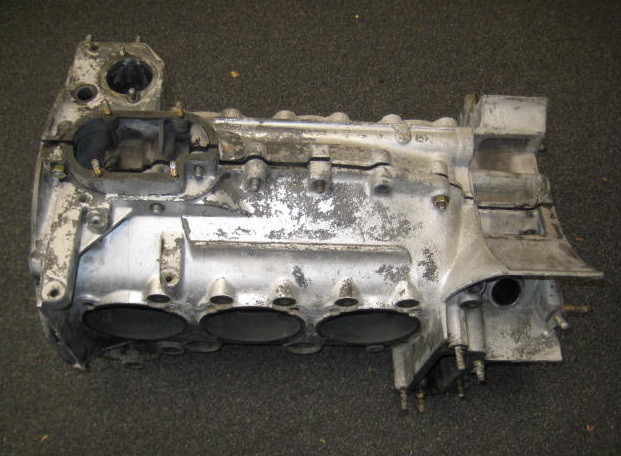 The 911/83 engine has been town down and the 7R case is ready to be sent to Ollie's for machine work. 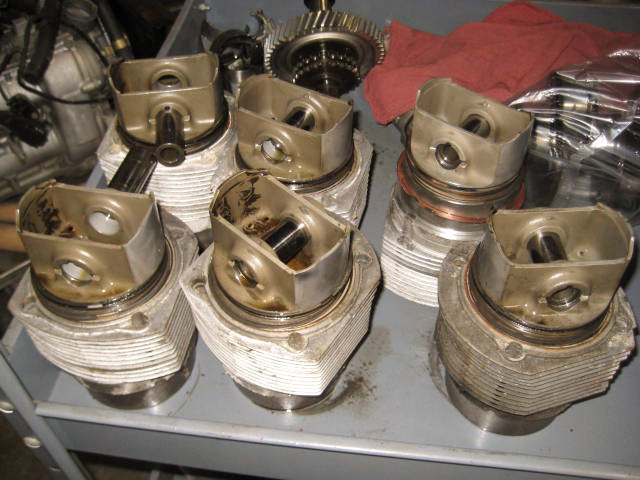 The original forged 90mm Mahle Nikasil coated cylinders (8.5:1 compression) and pistons have been removed from the case. Cam towers have been removed and are ready for reconditioning. 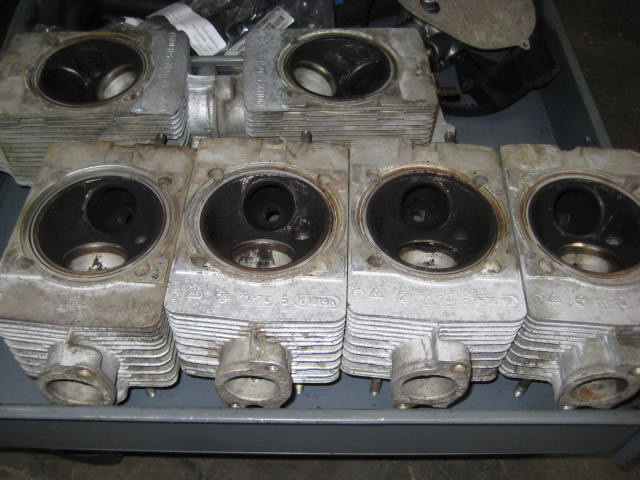 The individual aluminum cylinder heads freshly removed from the engine awaiting reconditioning. 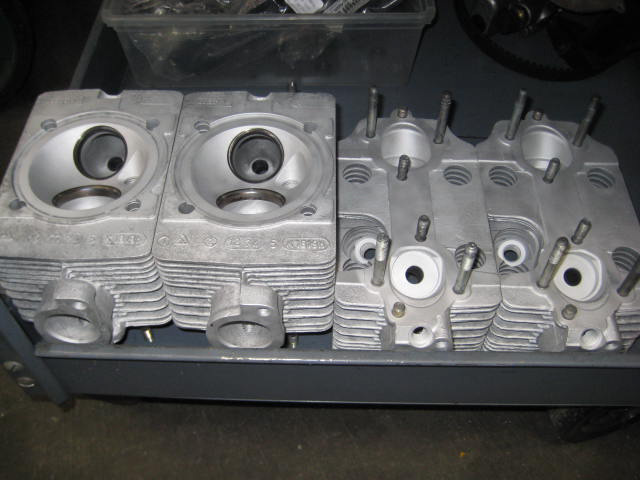 Each of the aluminum cylinder heads was carefully cleaned in the soda blaster. 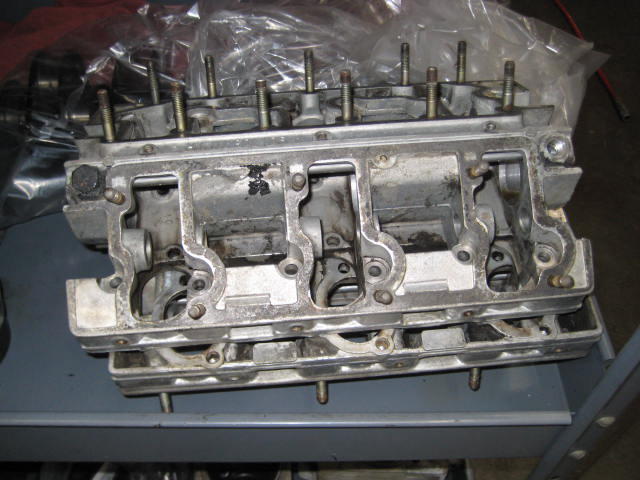 The cylinder heads look almost brand new after being soda blasted. 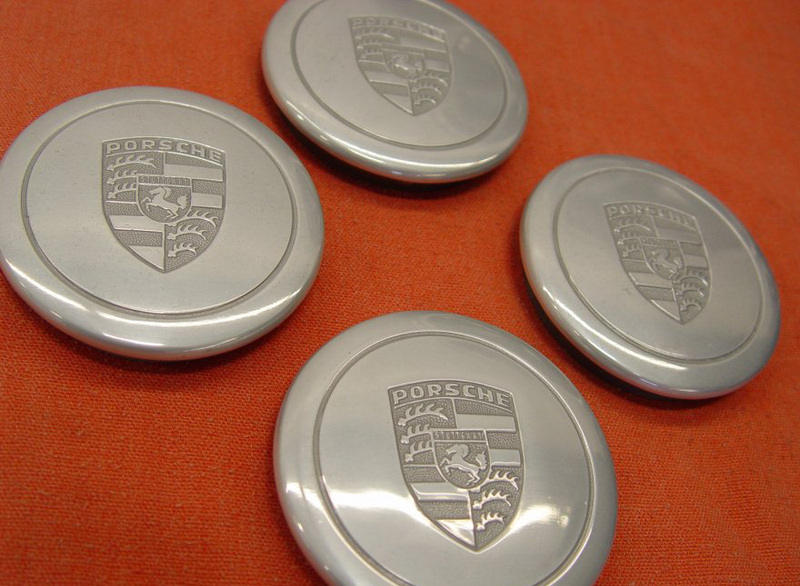 Update 10/10/2012: Dr. Georg Konradsheim has also reproduced these bumpers and they are available in the store on his website. 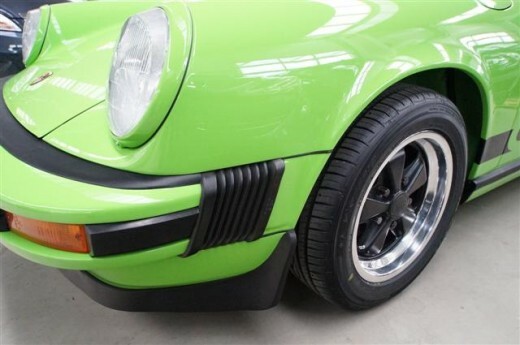 Originally posted 10/9/2012: Tom (tomdeg) has reproduced the pair of rubber bumpers which support the whale tail on early Carreras and 930 Turbos. 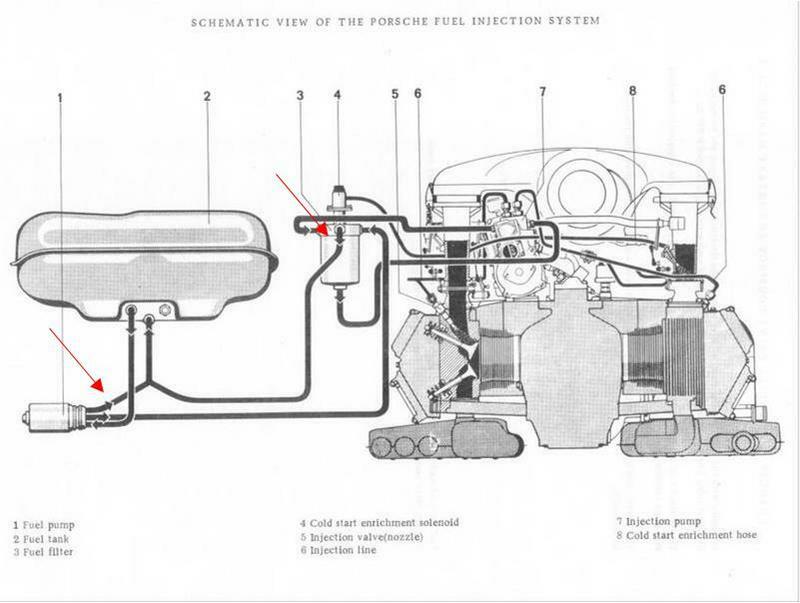 Per the Porsche PET parts catalog (illustration 803-05) a pair of these bumpers was used on the Carrera 2.7, Carrera 3.0, and early 930 Turbos. This rubber part (part #999 703 013 50) has been unavailable as it was superseded on later cars by a different round plug. Having a reproduction available is great as this has likely been lost on most Carreras that might have had these originally fitted. It is unclear if these were installed only when a whale tail was fitted, or if these were also installed for the standard deck lid. However given these look designed to improve the weight distribution, both when static and with downforce at speed, my guess is they were only installed when the heavier whaletail was installed, particularly those with the A/C condenser mounted. 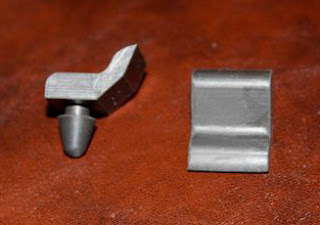 It is unclear when these were first being installed, and whether they were installed on all cars with the whaletail. 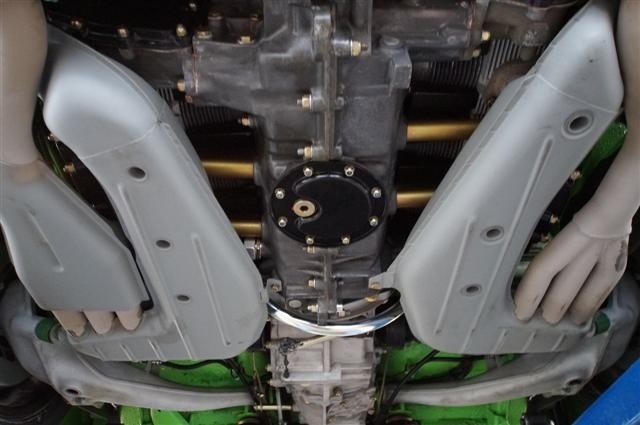 Location of the two rubber bumpers that provide additional support for the whale tail on Carrera 2.7/3.0 and 930 Turbos. As shown on chassis #911 660 9041. 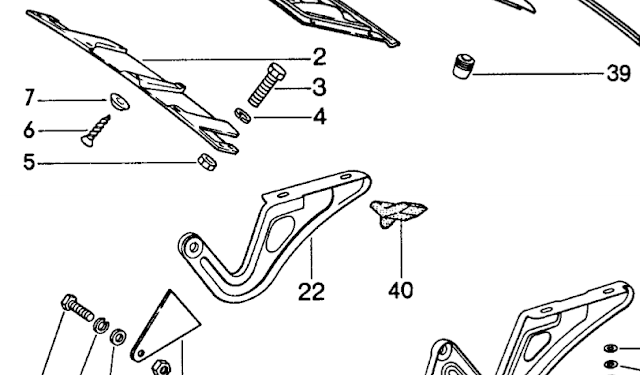 Porsche PET parts catalog diagram 803-05 shows this as part #40 and the associated parts number entry. Tom is currently offering these for $48 including S&H within the US.